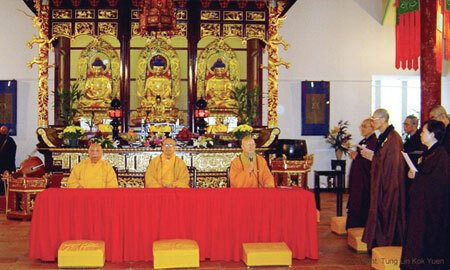 One of the key aspirations of the founder of Tung Lin Kok Yuen, Lady Clara Lin-kok, was to expand Tung Lin Kok Yuen's operations to promote Buddhist education internationally. 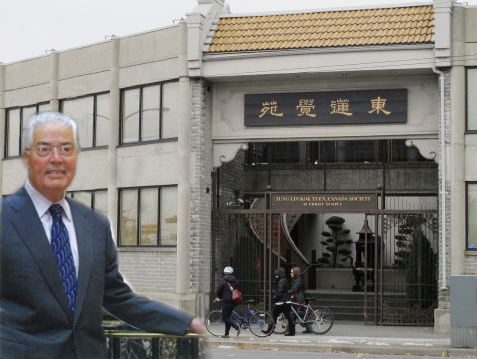 In 1994, her grandson and the then Chairman of the Board of Directors of Tung Lin Kok Yuen, Hong Kong, Robert H. N. Ho, began to realize this ideal through the establishment of Tung Lin Kok Yuen, Canada Society in Vancouver. 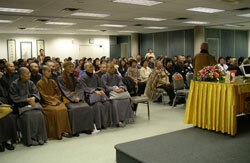 Vancouver was seen to be an ideal location for the first international branch of Tung Lin Kok Yuen as it contained a large number of immigrants, many of Chinese ethnicity, who were expected to benefit greatly from the facility to come into or resume contact with the Buddhist teachings. 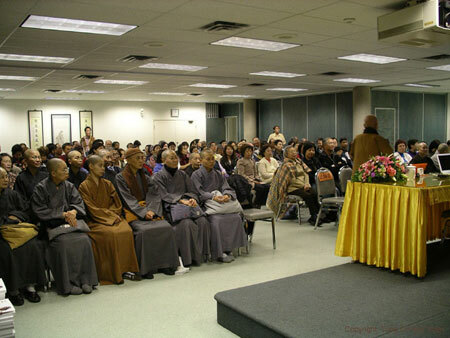 Indeed, the establishment of Tung Lin Kok Yuen, Canada Society coincided with a period of marked increase in the number of Buddhists residing in Vancouver - an increase of 84% in the ten year period from 1991 to 2001 according to official record. 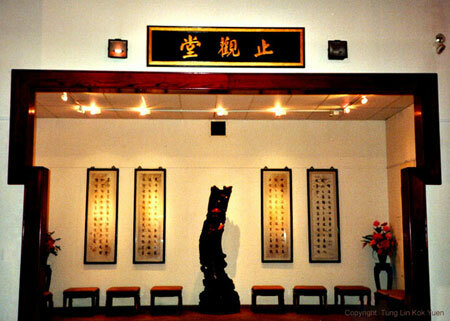 The premises of Tung Lin Kok Yuen, Canada Society is a two-storey contemporary building of over twenty thousand square feet conveniently located on Victoria Drive, not far from downtown Vancouver. 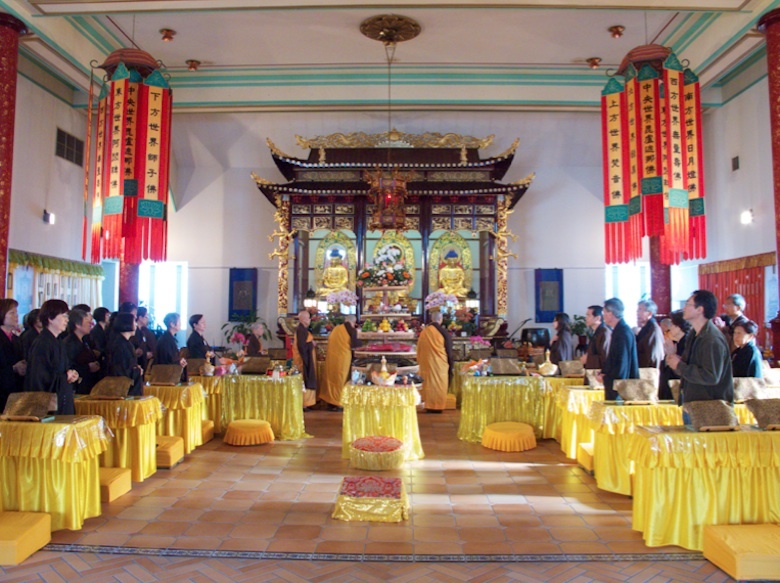 It is equipped with both traditional dharma and modern teaching facilities, including a Worship Hall, Longevity Hall (Hall of the Medicine Buddha), Meditation Hall, Ancestral Hall, Conference Hall, Multi Purpose Hall, library, and a shop selling Buddhist artifacts, literature and souvenirs. 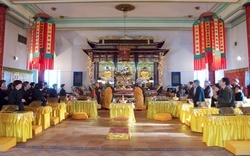 Visitors come to pay their respects to the Buddha, study sutras, attend rituals, and participate in classes and activities, having the facility to learn the dharma through both practice and theory. 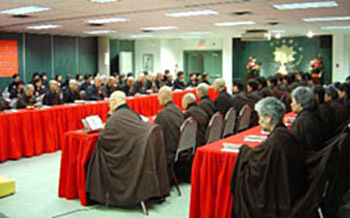 Dharma activities include Buddhist lectures, special ceremonies, Sunday rituals and those marking the 1st day and 15th day of each Lunar month, whilst regular classes teach the dharma, ESL, computer studies, Chinese painting, calligraphy, Chinese zither, vegetarian cooking and Tai Chi. 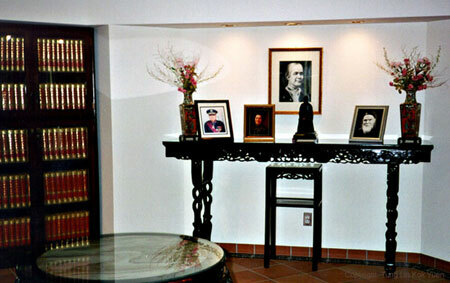 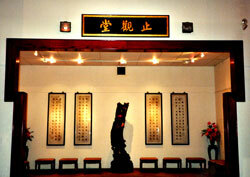 In April 2001, a Seniors Lodge, Lin Kok Manor, was built to care for the elderly. 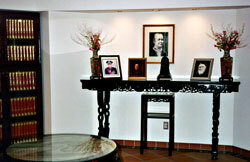 It continues to provide activities, a serene environment, and dignified care to its many residents.